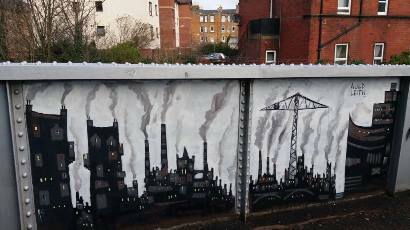 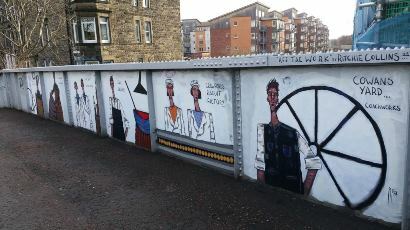 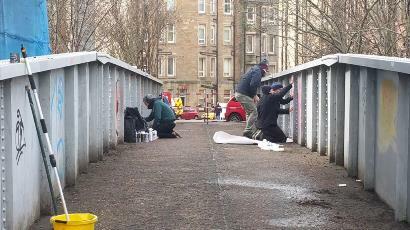 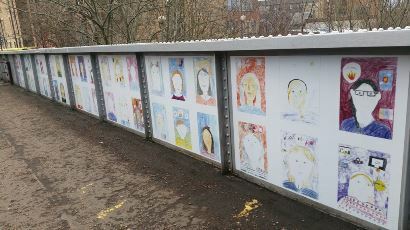 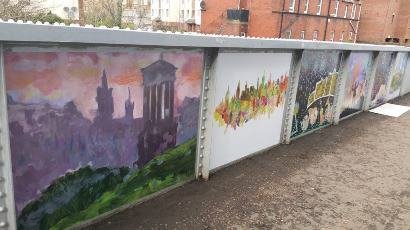 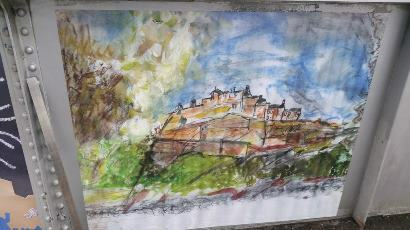 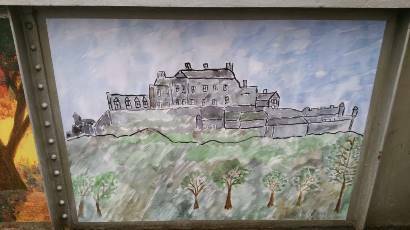 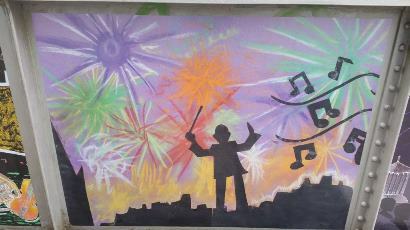 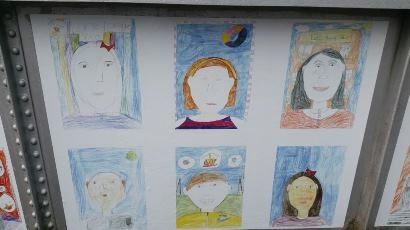 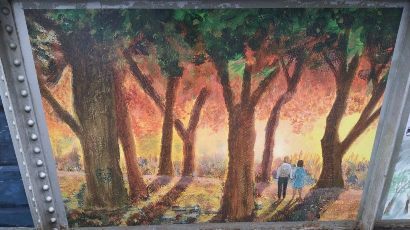 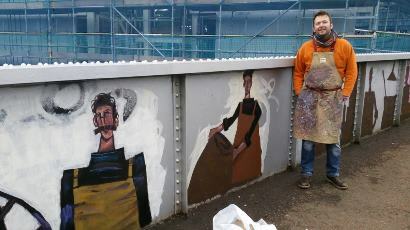 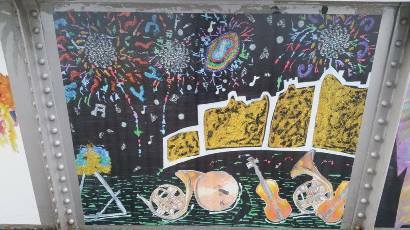 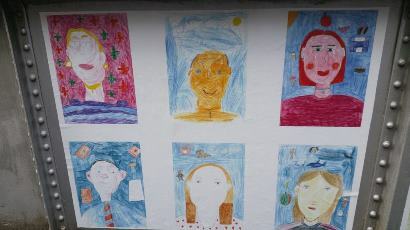 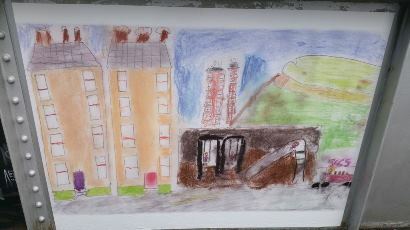 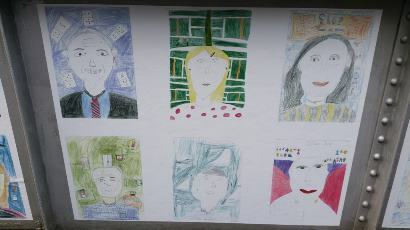 The newly painted mural on Crawford Bridge was officially unveiled yesterday (Friday 18th March) with panels from children at Lorne Primary School, entries from the Edinburgh Festival Firework Competition and work by a selection of local artists. 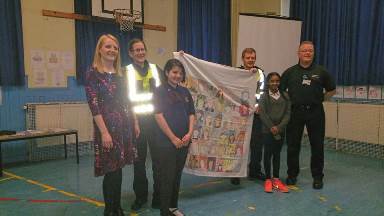 The children also had a surprise visit at assembly from Community Safety Officer, Mark Robinson and PCs Darling and Lindsay who presented them with a printed fabric to be displayed in the school showing their art work from the bridge. 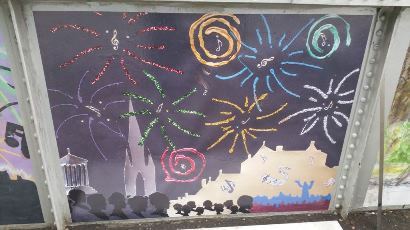 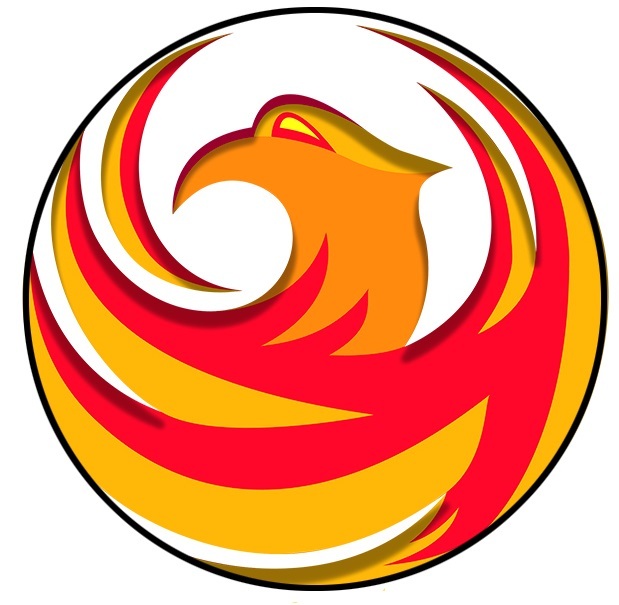 The print is provided by local company BeFab Be Creative. 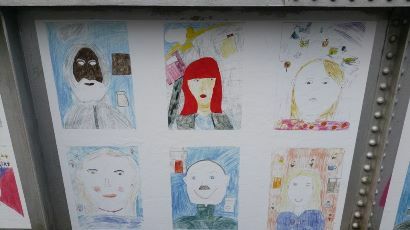 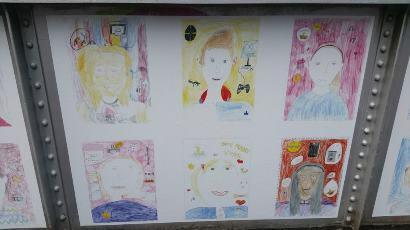 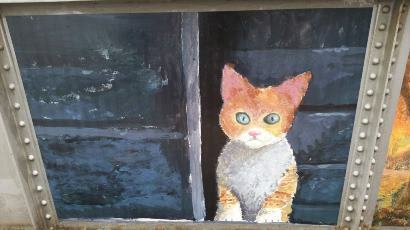 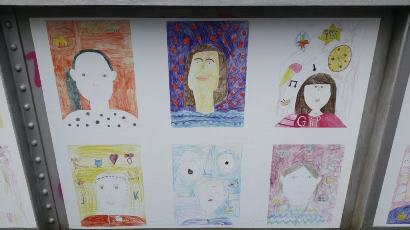 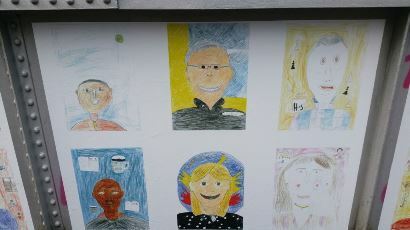 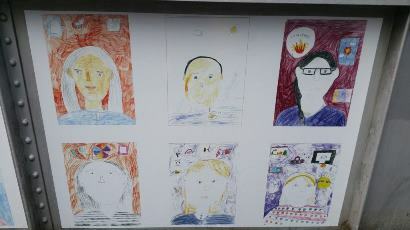 The pictures are copies of the 48 portraits they donated to the anti graffiti initiative, ShipShape Albion.